The Thunder Bay Indigenous Friendship Centre (TBIFC) is one of the “original six” Friendship Centres in Ontario, founded in 1964 and incorporated on February 15, 1968. TBIFC is also the founding member of the Ontario Federation of Indigenous Friendship Centres (OFIFC) which was incorporated 1971. To increase opportunities for Native people to gain access to services such as education, skills development, housing, justice, health and social services. To strengthen the sense of sharing and belonging by increasing opportunities for participation by Native families and community members in improving areas of economic, political, social, cultural, educational and recreational life in Thunder Bay. To improve the image of Native people in Thunder Bay as a strong, independent and self-sufficient community by developing a strong sense of community spirit and community responsibility amongst Native people. To develop a strong sense of pride amongst Native people based on a good understanding of our culture, traditions and values. To provide opportunities for Native youth in Thunder Bay to develop their skills and leadership potentials and to increase their understanding of Native culture, traditions and values. To develop facilities that will promote a positive Native identity and provide opportunities for participation in community social, recreational and cultural activities. A welcoming Indigenous community that nurtures healing, culture, traditions and self-determination. 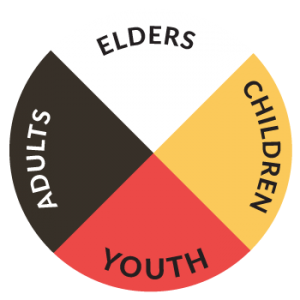 Rooted in culture, the Thunder Bay Indigenous Friendship Centre strengthens the lives of the Indigenous people by providing holistic supports, services and advocacy.